On this post, I found that quite a few of you swear by snacks to get you through your day, just like me! Sooo, I have another delicious snacking solution for you! So when I heard that they had new products coming out, I was more than excited! The new "Food for Kids" range is Nut Free, Gluten Free and Sulphur Free. 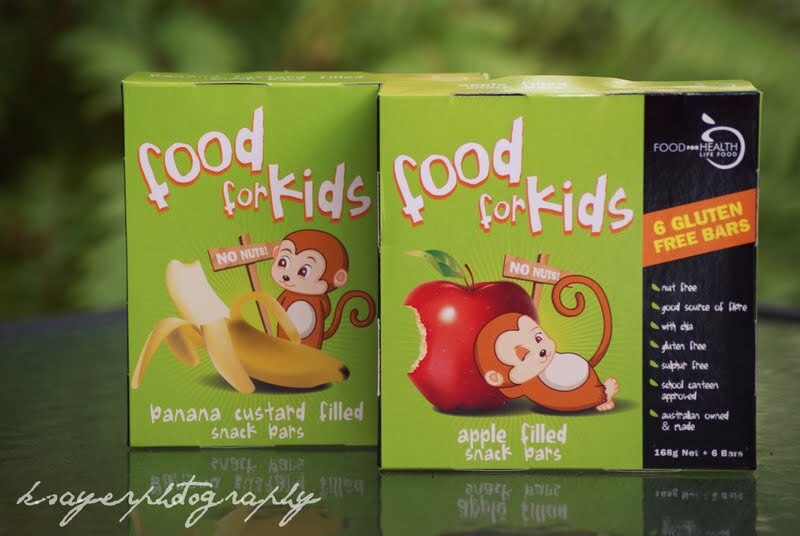 Food for Kids smart people who like really delicious snacks. For me, these bars are the perfect size for a quick snack! The Banana Custard filled bars are most definitely my favourite! 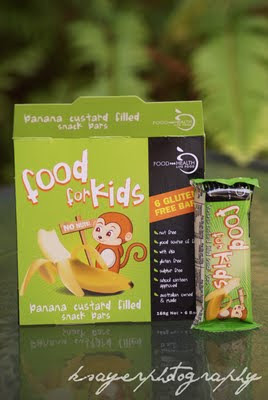 They're soft with a delicious banana flavour - and not too sweet as you might think! 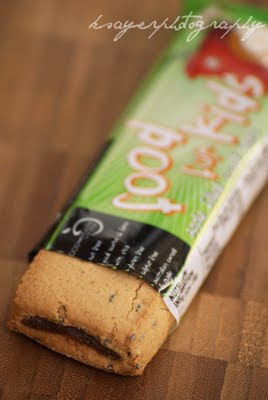 I love Chia Seeds, so the addition of Chia in these bars was perfect, plus fussy little kids aren't going to have any idea they're filling their tums with all those omega packed little specks! and I will surely be adding to them to my shopping list as soon as I run out! The Banana Custard bars might have been my favourite, but I'm not overlooking the Apple Filled bars! 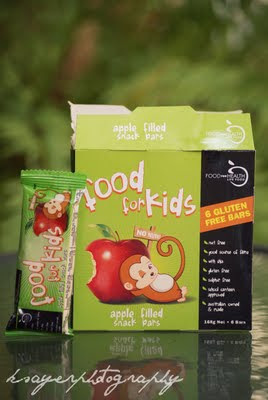 These bars taste almost like an apple pie, the soft apple filling is enclosed in the almost cakey bar. For a kid at heart grown up, these are a perfect snack with a cup of tea! These bars have me wishing they were around when I was younger and at school! But that's okay, it just means I'll have to make up for it now - no? they would be perfect for a school time snack! 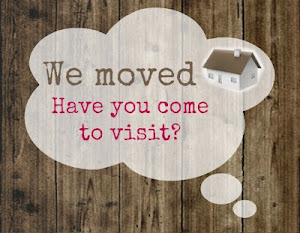 - Coles, Woolworths, selected IGA's, Costco, Health Food Stores etc. Though it may take a little time for some of the smaller retailers to start stocking them as they're brand new - but keep your eyes peeled! I promise you won't regret it! What was in YOUR lunch box? I was always a fussy eater as a child and I hated school lunches. I know my poor Mum had a tough time figuring out what to send me. I didn't like sandwiches, most muesli bars and the idea of sending things like cheese sticks or yogurt in a warm lunch box didn't appeal to me in the slightest (smart kid, no?) and leftovers? don't even think about packing them! i want that little monkey on the box!! haha these snack bars look delicious! i would definitely have been given one of these in my lunch box when i was younger. usually my mom packed me those crackers with the spreadable cheese that come with those little red sticks that are used as spoons, she also put in a turkey sandwich, a piece of fruit, and some fruit gummy snacks...some days she put in a lunchables snackable kits instead. usually it was a bunwich with some lettuce, meat, butter, mustard, cheese and tomato...boring but always pretty good. That's awesome, they don't even look gluten free :D My mum used to make us treats for our lunchboxes (my brother and I) like chocolate coconut slice or tea cake, and there'd usually be a sandwich for lunch and a popper (juice box for those in other states lol). Sometimes as I got older I'd have Le Snaks for morning tea instead or a few biscuits. I'd get sick of sandwiches sometimes too and make my own bizarre salads from whatever I found in the fridge. They don't taste it either! Though lately I've found so many delicious things that are gluten free - I think as more companies are working with products like that they just keep getting better and better! Yeah, I was the loser with the apple slices and egg salad sandwiches. At summer camp, that's not the most popular combination. I remember one time, I begged my dad to pack me some junk food. He was like "ok" and the next day I found pita chips in my lunch box. Lamest excuse for junk food I've ever seen. Thank you Stephanie! You're too kind :) I'll definitely be checking out your blog!